Join Anchored MI for a weekend of relaxation at an exclusive beach lodge on West Grand Traverse Bay! 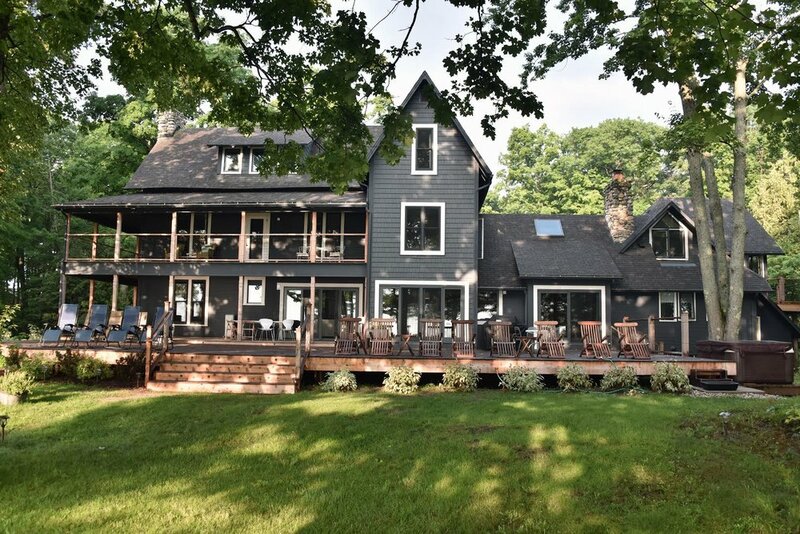 The lodge has 9 bedrooms, 6 bathrooms and a 2000 square foot deck steps from the beach! $675 per person for double occupancy in King/Queen room. $925 per person for single occupancy in King/Queen room. Cost includes lodging, SUP Yoga, paddle-boarding, yoga, meditation, food and activities (excluding alcohol)! Registration via MINDBODY required; payment plans available. $250 deposit secures pricing. Deposit and payment non-refundable.